Again, we have obtained some interrogation reports from a Belgian foreign terrorist fighter apprehended in the Syrian-Iraqi conflict zone. His name is Bilal El Marchohi and he was caught by Kurdish forces near ar-Raqqah (Syria) on the 29th of August 2017. Two articles based on what he told the US military were published already in the Belgian newspaper ‘Het Laatste Nieuws’. What follows is a factual account of the most relevant details. Bilal El Marchohi (22) is a Belgian citizen of Moroccan descent, raised in the Antwerp neighborhood of Borgerhout. The earliest trace of militant activity we found, was his participation in a protest against the Israeli army in November 2012 — as can be seen in a picture report that the Belgian daily Het Nieuwsblad published at the time. He left for Syria with his wife — Ilham Borjani from Gouda in the Netherlands — in October 2013, apparently recruited by Shariah4Belgium. First they joined the then al-Qaida affiliated Jabhat an-Nusra, but very soon they switched sides to the Islamic State. 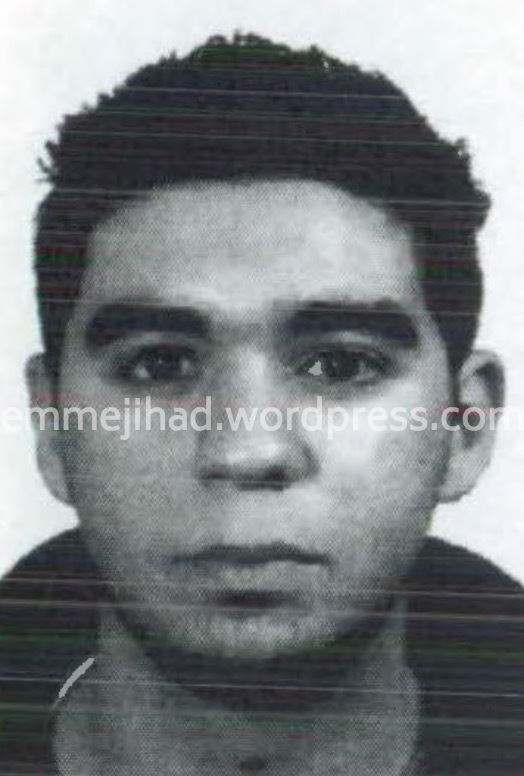 El Marchohi’s IS entry file mentions that he entered in November 2013, recommended by Abu Hamza al-Belgiki. 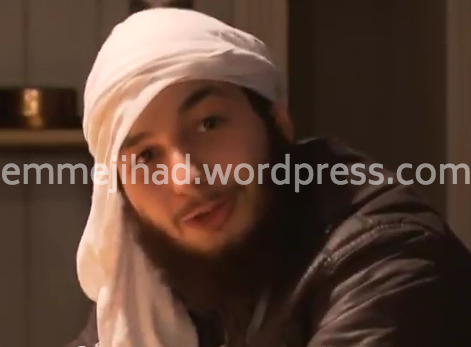 That is likely Nabil Kasmi, one of the very first European fighters in Syria, who was also part of Shariah4Belgium. El Marchohi was one of the Belgians for whom the Paris ‘Gare du Nord’ was completely cleared in May 2017. His picture had been circulating jointly with that of Belgian IS operative Tarik Jadaoun and an Afghan IS suspect, after which a counter clerck thought having recognized them on a Paris bound train. After Jadaoun was caught in Mosul (Iraq) in July 2017, he stated that he doesn’t know El Marchohi, according to US interrogation reports we earlier obtained. El Marchohi told his interrogators that IS intended to deploy three European women for terrorist attacks in the West. They received a training in the handling of explosives, and were prepared for a journey back to Europe over Turkish soil. Without indicating when exactly all of this happened, he identified the women as Umm Hanifa al-Belgiki, Umm Ibrahim al-Hollandi (aka Hafida) and Umm Nusaybah al-Belgiki (aka Rahmah). To his latest knowledge, the first two resided in the Syrian city of Deir ez-Zor, while the latter lived in ar-Raqqah — the Syrian capital of IS. 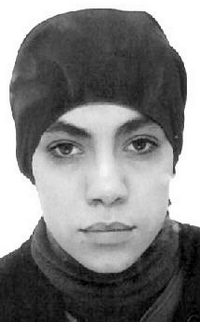 Umm Nusaybah al-Belgiki may be the widow of Abdelmalek Boutalliss, a Belgian foreign terrorist fighter killed in November 2015 committing a suicide attack in Iraq. He was known as Abu Nusaybah, but wasn’t married when he left in June 2014. At the time of Umm Nusaybah’s terrorist training, she was married with a certain Abu Harun, according to El Marchohi, while he later also named the Belgian IS operative Moustafa Ahjit (aka Abu Younes al-Belgiki) as husband of the same Umm Nusaybah. El Marchohi did confirm a long-heard rumor about Hicham Chaïb: that he was a Hisbah officer in ar-Raqqah — although not the highest one. “But he was fired because he was too extreme and abusive”, the interrogation states — after which Chaïb started working as a logistician for the Purchasing Department. Al Marchohi admitted that he himself has also worked for the Islamic police. He served as the Hisbah emir for Mansurah, a town between ar-Raqqah and at-Tabqah, and he was subordinated to Abu Jafar al-Jazrawi, the Hisbah emir for at-Tabqah. Highly interesting are El Marchohi’s revelations about a certain Abu Khalid as-Shishani. “He smuggled weapons into Belgium from Chechnya in order to sell them and send the money to extremists located in Eastern Europe”, he stated during the interrogations. He also mentioned that this Abu Khalid, who apparently was missing his right leg when El Marchohi knew him, later became the ‘Emir of Borders’ within IS. Although not sure, Abu Khalid may be Aslan Sigauri, an ethnic Chechen from the Pankisi region in the former Soviet republic of Georgia, who is also known as Salman Variev. He was designated as one of the 54 most dangerous Caucasian terrorists by Russia in 2011 already, but still managed to settle in France the following year. Belgian authorities, who refer to him as Aslan Sigaouri, have indications that he operated in their country indeed — while the judgment of a trial against Chechen jihadist recruiters in Belgium mentions that Sigauri used the safehouse that the Ostend based ringleader Chalil Man had established in Turkey. Pleading against this identification is Al Marchohi’s statement that Abu Khalid was still alive last year, while Russian authorities declared Sigauri dead in May 2016. But that was the second time he was said to be killed — leaving room for reasonable doubt. 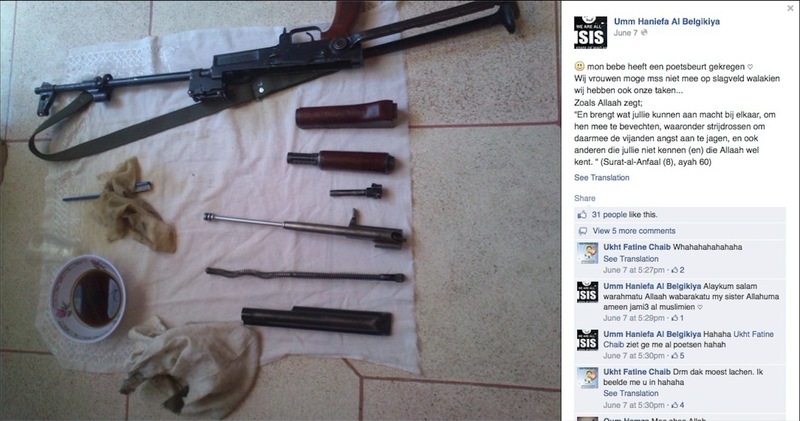 Regarding the purchase of arms, El Marchohi also told about a fellow Belgian who “bought weapons with personal money from the FSA and sold those weapons to IS”. It isn’t clear however which faction within the Free Syrian Army was involved, nor whether they knew the destination of what they sold. 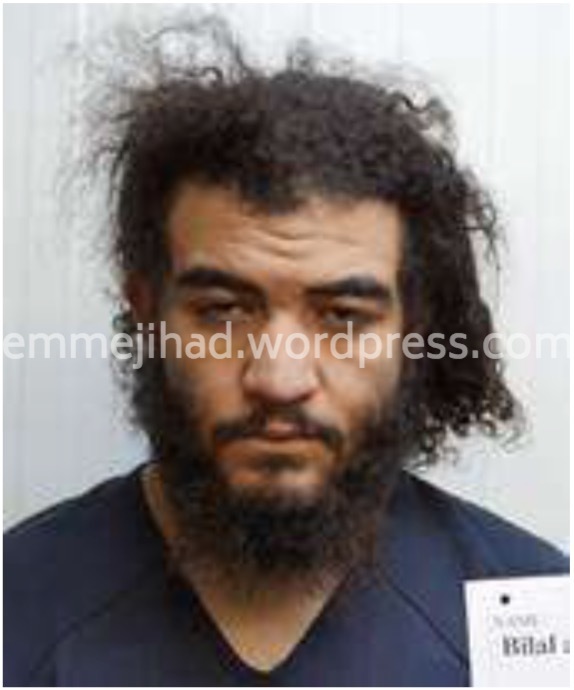 But while it looks like Abu Hafs — the Belgian subsequently identifed by El Marchohi as Mohamed Mezroui from Antwerp — started dealing weapons on his own initiative, he later did it on demand. “IS gave him money in order to continue buying weapons”, the interrogations state. And while no further information is given about the suppliers, it is mentioned that Abu Hafs started to focus on “large weapons, to include tanks”. “IS has been attempting to build rockets that are capable of shooting down aircraft”, Al Marchohi revealed. Those rockets had to use “a heat sensor mechanism” and members of the project claimed a certain point that they were close to accomplishing their task. Al Marchohi knew two people in the team who have worked on it for approximately one year: a certain Abu Layth al-Jazrawi and a man that he alternatively named as Abu Bashir al-Belgiki and Muhammad Talby. 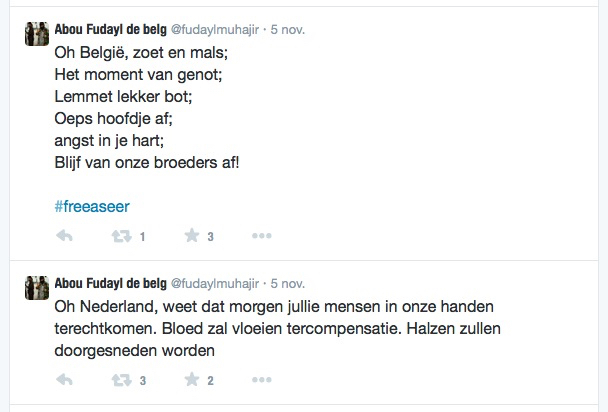 The latter doesn’t match any of the Belgian fighters however, and it is more than likely that he meant the Dutchman Mohamed Talbi, who left for Syria in 2013 from Zoetermeer — a location from where other Dutch foreign fighters have landed in the very same Islamic State circles as El Marchohi. The detainee did not provide any detail about the location where the rocket research was done, but in another context he mentioned “the Research and Development Department in Mayadin” (Syria) as the place where rockets and mortars were made. That this information must be fairly up to date, can be deduced from the trajectories of Observation Unit members El Marchohi knows. One of them is Azeddine Kbir Bounekoub, a Shariah4Belgium recruit who was best friends with the well-known Jejoen Bontinck before both left for Syria. Bounekoub was stationed as a fighter in Mosul (Iraq), but sent back to Deir ez-Zor (Syria) shortly before the siege of Mosul began. He went on to ar-Raqqah and became “the leader of a small UAS unit approximately three and a half months prior to detainee’s date of capture”, it is stated in one of the interrogation reports. Last but not least, two Islamic State entities supposedly involved in terrorist operations abroad were mentioned during the interrogations — with names not previously disclosed, as far as we know. The first one is identified as ‘Fawj al-Qaqa’, of which El Marchohi knew two members. 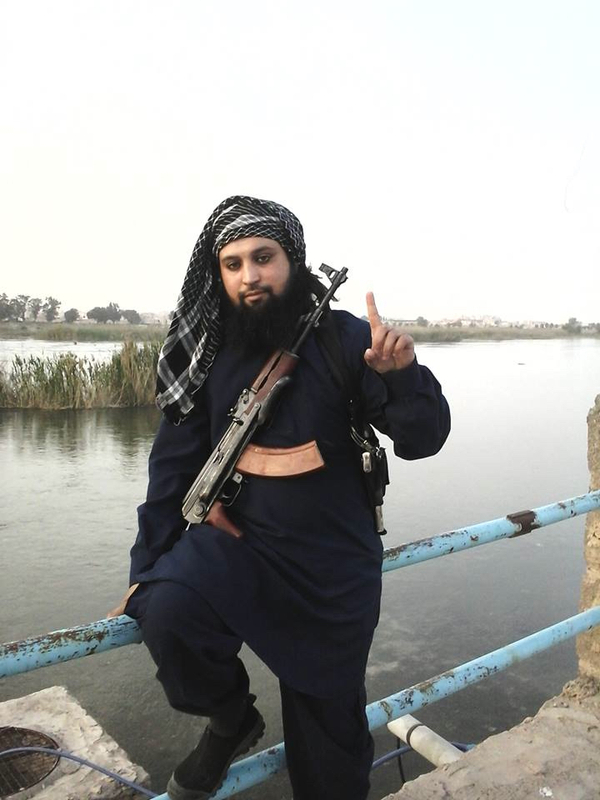 The first of them was a Belgian foreign fighter called Abu Musab. That matches the kunya of Sammy Djedou, a guy from Brussels of partly Ivorian descent who was killed by an American drone in December 2016. At that time, the Pentagon stated that he had been involved in plotting the November 2015 Paris attacks. The second ‘Fawj al-Qaqa’ member El Marchohi named — and supposed to be still alive — is a certain Abu Mahmud al-Kurdi. According to his knowledge, ‘Fawj al-Qaqa’ is “a completely independent unit, which has no ties to other elements of IS”. He stressed that its sole mission is “to conduct attacks outside Iraq and Syria”, and mentioned that each “front and major city” has a ‘Fawj al-Qaqa’ representative, who acts as a recruiter. A second entity possibly involved in terrorism abroad, is the ‘Amin al-Askari’ unit. El Marchohi indicated that he knew one member, a certain Abu Basir al-Gazawi, but could not say for sure whether the unit indeed was responsible for “external operations”. 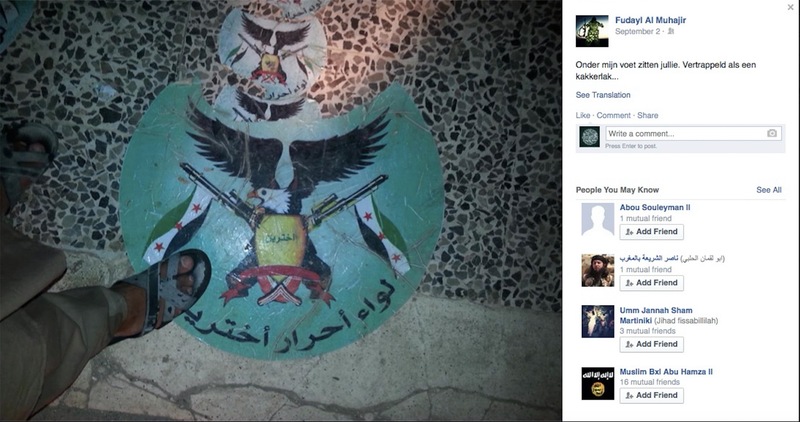 He did elaborate that this Abu Basir al-Gazawi had been the leader of his own acquaintance Nabil Kasmi — mentioned above — while they were based in Aleppo in 2014. But when asked explicitly whether Kasmi also belongs to the ‘Amin al-Askari’ unit, El Marchohi answered that he doesn’t know. The suspicion that Belgium’s very first terrorist fighter in the current Syrian-Iraqi conflict may have entered the IS external operations department, is likely reinforced by El Marchohi’s knowledge about Kasmi’s latest job. He started making bombs for IS after he had joined the terrorist group in early 2013, but asked for something else “because Nabil thought the chemicals were keeping him from impregnating his wife”. So Kasmi became an intelligence officer in ar-Raqqah in 2015 already, a position fairly close to the plotters of foreign attacks in the Islamic State organigram.